Gary Alcumbrack, a Gulf War veteran pained by recurring nightmares from battle. After 17 years in the military, U.S. Navy and Gulf War veteran Gary Alcumbrack has done his best to navigate the civilian world even as he wrestles with nightmares that won't go away. The dreams are so vivid, the 60-year-old Kent County resident said, that he often throws himself out of bed. “I never had those before” military service, he said. He has plenty of company. With nearly 700,000 veterans, Michigan is 11h in the nation in veteran population. But Michigan ranked 46th of 50 states in 2012 in spending per veteran, according to the U.S. Veterans Administration. It spent $4,069 per veteran, just 75 percent of the U.S. average of $5,415 per veteran. Michigan ranked last the previous year. “I stood tall when I was called. I'm not asking to get rich. I think I earned something for it.” -- Gary Alcumbrack of Michigan, a Gulf War veteran awaiting word on a disability claim for post-traumatic stress. The state’s low spending on veterans is a puzzle, since Michigan seems well poised on Capitol Hill to deliver for veterans. Soon-to-be retiring U.S. Sen. Carl Levin, chairs the powerful Senate Armed Services Committee, and has been ranking Democrat on the committee since 1997. U.S. Sen. Debbie Stabenow, serves on the Senate Budget Committee. Republican Rep. Mike Rogers chairs the House Intelligence Committee and was a commissioned U.S. Army officer through the Reserve Officers’ Training Corps, according to his website. Bridge reached out to the offices of Levin, Stabenow and Rogers; none could explain why Michigan ranks so low in veteran benefits. Gordon Trowbridge, a Levin spokesman, said it is unclear precisely why Michigan ranks so low. But Trowbridge said Levin is working hard to improve services for veterans – especially those from Michigan. Trowbridge noted that Levin has secured $15 million in funding for Michigan schools with programs for unemployed veterans. That would help address troublesome unemployment among veterans. Michigan veterans deployed after 2001 had an unemployment rate of 14.4 percent in 2011, according to the U.S. Congress Joint Economic Committee. The overall unemployment rate in the state that year was 10.3 percent. Matt Williams, spokesman for Stabenow, said the senator has helped bring veterans’ health clinics to Michigan including clinics in Alpena, Bad Axe, Cadillac, Clare, Mackinaw City and Grayling. A report by the Center for Investigative Reporting found that the number of veterans waiting more than a year for benefits soared from 11,000 in 2009 to nearly 250,000 in December 2012. In larger cities, it reported the wait can be up to two years. Claims filed with the VA more than doubled, from 480,000 in 2001 to more than 1 million in 2012. About 30 percent of 1.64 million troops deployed to Iraq or Afghanistan suffer from PTSD, depression or traumatic brain injury, according to analysis by the Rand Corporation. Despite the VA's self-proclaimed goal of scheduling appointments for veterans with mental health problems within 14 days, it failed to meet that standard in a third of cases in 2013. Veterans aged 18 to 24 and enrolled in a VA health program committed suicide at the rate of nearly 80 per 100,000 in 2011 – four times the civilian average. According to the Centers for Disease Control and Prevention, non-veterans of the same age had a suicide rate during 2010 of about 20 per 100,000. Some 58,000 veterans were homeless on a single night in January 2013, according to the U.S. Department of Housing and Urban Development. More than twice that many are homeless over the course of a year. While veterans represent 7 percent of the general population, they comprise about 13 percent of the homeless adult population. State officials speculate the low ranking in per-veteran spending in Michigan is linked to several factors. Veterans from World War II and the Korean War returned to Michigan to jobs in the auto industry and other manufacturing sectors that furnished generous pay and benefits, perhaps diminishing demand for benefits tied to their service. State officials also note Michigan lacks the large military bases of other states that serve as collection points for career retired veterans, who are more likely to have higher per-capita benefits. But officials also say many Michigan veterans are simply not getting help they need, either due to bureaucratic snags or because they are unaware of benefits they have earned. “There is certainly room for improvement. There are 680,000 veterans in Michigan and we don't have a list of who they are,” said Suzanne Thelan, spokesperson for the recently created Michigan Veterans Affairs Agency. Thelan noted that state services for veterans are scattered among 14 departments. Layered on top of that are federal and local programs that can be a confounding maze to veterans. The MVAA – created by executive order by Gov. Rick Snyder in January 2013 – aims to coordinate services among myriad programs and agencies and aid veterans in their applications for benefits. “We are not reaching our veterans,”said Elena Bridges, who chairs the West Michigan Veterans Coalition, a collaborative of community organizations formed in 2010 to improve services in the region for veterans. 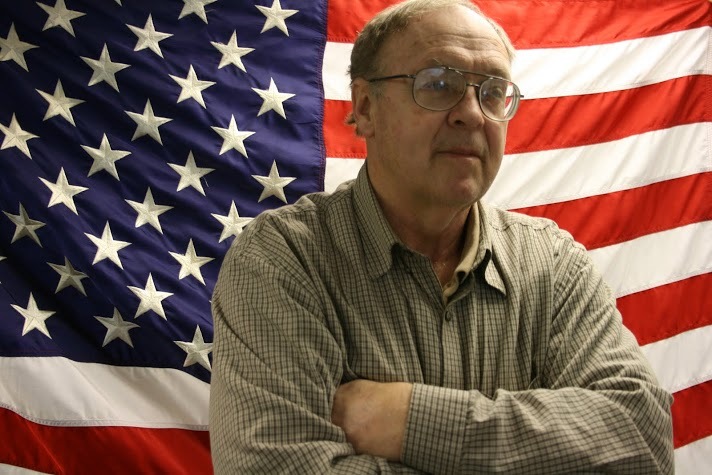 Vietnam War veteran Ross Starkweather, 64, served in the U.S. Air Force from 1969 to 1976, including a tour at an air base in Thailand from September 1970 to September 1971. Since then, he has has five heart attacks and quadruple bypass surgery. Seven years ago, he was forced to retire from his job as a truck driver because of congestive heart failure. “I never even thought about filing a claim. I never pushed it, ” he said. Then he met Carrie Roy, manager of the Kent County Department of Veteran Affairs. He learned that veterans who had served in Thailand were eligible for disability benefits tied to Agent Orange, a defoliant used in the Vietnam War and linked to a variety of health issues, including cancer and hardening of the arteries. Starkweather filed a claim in November 2011 that has been twice denied. He said he was told by the VA that his claim was not valid because his service dates – which the department stated were from 1972 to 1976 - were outside the time frame when Agent Orange was used. Roy confirmed his version of events. “I sent it back and said, 'You are looking at the wrong dates,'” Starkweather said. With the help of U.S. Rep. Justin Amash, R-Grand Rapids, Starkweather retrieved his complete service record proving he was in Thailand in 1970 and 1971. He is still awaiting resolution of his claim. “I think they are dragging their feet hoping that I die so they don't have to pay nothing,” he said. Despite Starkweather's frustrations, Roy credits the VA with working hard to reduce wait times for service claims that had been a year or more. “We are seeing claims go through in about six months. It's not going to be fixed instantaneously, but they are working on it,” Roy said. Navy veteran Alcumbrack said it took him years to realize his persistent nightmares might be tied to his service, a symptom of PTSD. Months after he filed his claim, he awaits an appointment with a VA psychiatrist to evaluate his claim. Trained as a corpsman – a medic – Alcumbrack was attached to a Marine unit charged with clearing mines in the Strait of Hormuz during the Persian Gulf War. In June of 1991, he was in the Philippines awaiting orders to return to the States when Mount Pinatubo erupted. He was dispatched to a makeshift gymnasium next to a civilian hospital that had collapsed to assist in rescue efforts. He joined aid workers in pulling survivors out of the hospital. “My fourth trip into the hospital I was nearly crushed. I was expecting reinforcements but they never came. One guy, in his mid-20s, had a severe compound fracture in his left leg. He has lost a lot of blood. I got enough fluids in him and splinted it and rinsed it out. He made it. “I delivered two babies. There was an old man that had been crushed. His chest was wide open and you could see his heart beating. He was on death's door. Alcumbrack has gone through two divorces and struggled to support himself in recent years, in large part because of health issues. He fractured his hip in 2006 working as a household mover and broke it again in 2011. He had hip replacement surgery in August of 2012. Prior to that, for about six weeks, he was homeless and living in the woods near a park in Grand Rapids. He now splits his time staying with a friend at reduced rent and staying with his sister. All that time, the nightmares never stopped. “I didn't have a moment's hesitation,” he said of his service in the Gulf War. “I stood tall when I was called. I'm not asking to get rich. I think I earned something for it,” he said of his service claim. Wanna know why? It's because the Detroit region has a lot of incompetence. I just went through an ordeal and they didn't even look at the evidence I sent them and denied my claim. I initially put the claim in over 3 years ago. Now, according to them, I have to go to the BVA in D.C. They lost, destroyed, neglected or ignored a full diagnosis from a PTSD expert in the area. A well known one to the VA and others. They don't understand what qualifies as military duty for a Reservist or Guardsman. They acknowledge evidence of physical damage yet still want to attribute it to things like a sprain (almost 40 years ago) and whiplash (lasting 14 years?). This region has been known to "loose" evidence, use examiners that violate the regulations and will sit and deny claims just to get their production numbers up. Why do most of these people make 6 digits a year while we Vets struggle, lose homes, things we worked for, and are left out in the cold. I think a lot has to do with the lack of real appreciation for what all Vets have done. UofM is a prime example. The anti-military fools are still here from the 60s and 70s and are in key positions. Detroit is just down the road. They're more worried about the illegal, or refugee, and of course the historical inheritance of welfare in the major cities than they are about disabled Vets. I know several of my Brothers and sisters who have experienced the same things. Levin? All I've ever got from him is the same letter response from the VA I could get myself. A lot of talk and no action. Like I always taught my kids. If what you say isn't what you do, then what you say is a LIE. It is truly a sad day when we have to have national ads that ask people to donate 20$ per month to help our Vets and their families. We owe them everything they need . We promised, now deliver. A year back log is insane. No lets send another BILLION to another country so they will be our friends. Help those who have given the most, our Vets. Make it mandatory for anyone who serves in congress that they must serve in the military. JUST KIDDING. Peace R.L.